An important piece of research for any imaging equipment project is finding your options for service, and building a budget forecast for your system's ongoing upkeep. As the title of this article suggests, we'll be focusing on the latter. Before we get into the dollars and cents of the matter, we'll walk you through all the factors that might play a hand in determining the actual amount a prospective service provider will quote you. 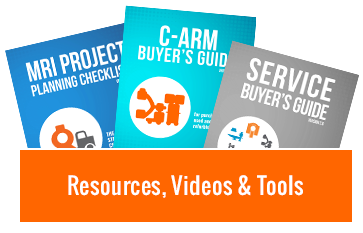 Knowing more about these will help you manage your expectations as well as simplify your conversations with providers. 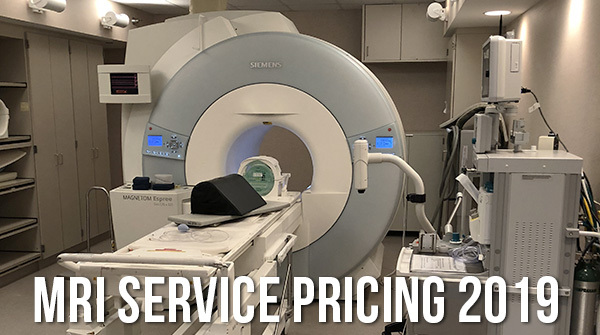 What affects MRI service pricing? The system's age: As a rule of thumb, the older an MRI unit is, the cheaper it is to service. Parts become more available as a system ages and more engineers gain experience on the platform. Parts: At some point, every system needs to have some parts replaced (coils, coldheads, RF amps, etc.). If a part is harder to track down, it's likely to cost more. If your system has high-dollar parts that are only available through the OEM, the provider building your quote will take that into consideration for the final number. Open vs. closed: Open MRI systems use permanent magnets and do not require cryogens. This makes them intrinsically cheaper to service than closed MRI systems, which require cooling with liquid helium, a consumable coolant that requires periodic refills. Make & model: Some MRI scanners are easier to work on than others. Some manufacturers have higher market saturation in certain areas, which affects the availability of parts and the prevalence of qualified engineering personnel. Factors like these make certain makes and models more expensive to service than others. Multiple systems & multiple years: Most providers will work with you on the service cost of each system if you cover multiple systems through them. Can you get MRI service through the same provider that covers your mammo, or your CT? Similarly, adding more years to a service contract can reduce your annual payment. With the factors above in mind, here is an idea of what you can expect to pay for MRI service coverage. Please note that these numbers reflect average costs for full service coverage. The higher end of each spectrum includes newer, more modern equipment (ex. 3.0T scanners aged 5 years or less) while the lower end covers more common equipment (ex. 1.5T scanners aged 8-12 years). And, if your facility uses an MRI scanner that's not in the chart below, contact us anyway. We can offer service on other makes and models as well. If you want to customize your MRI service options and lower individual costs, use the button below to see more. Chris Kinnas is the Service Account Executive at Block Imaging. His goal is to see imaging facilities covered by the very best service for maximum equipment uptime. Outside of the office he is a husband, a father of 4, and an avid Chicago sports fan.